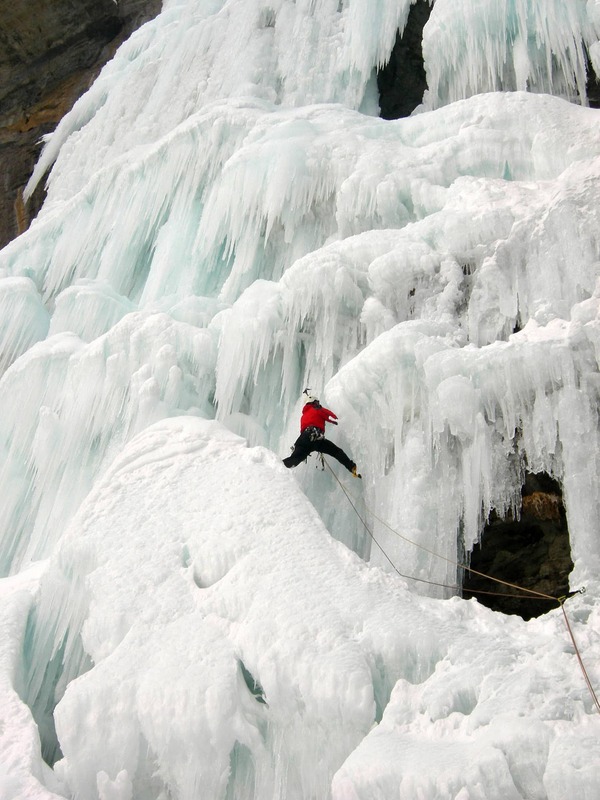 The Alps and the region of Valnontey give you the opportunity to conquer the best icefalls during the winter. 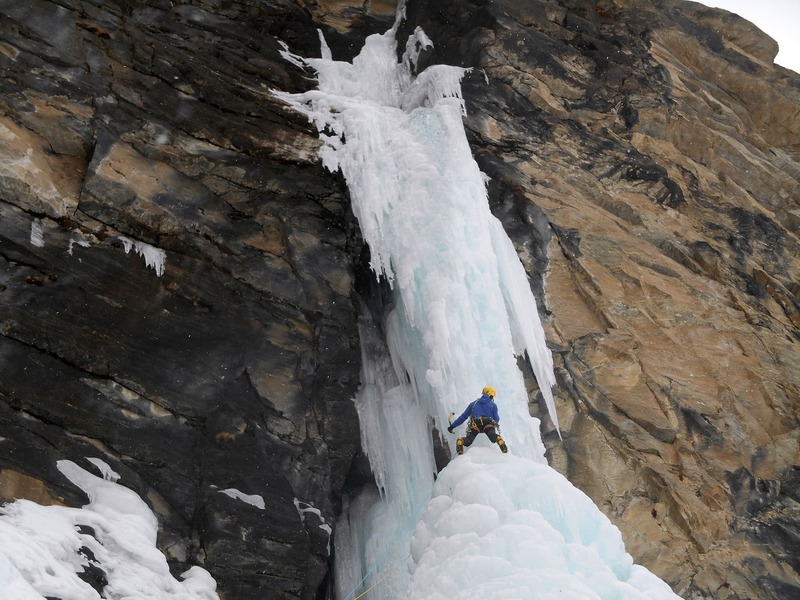 Join one of the IFMGA-certified guides in the Peakshunter team. 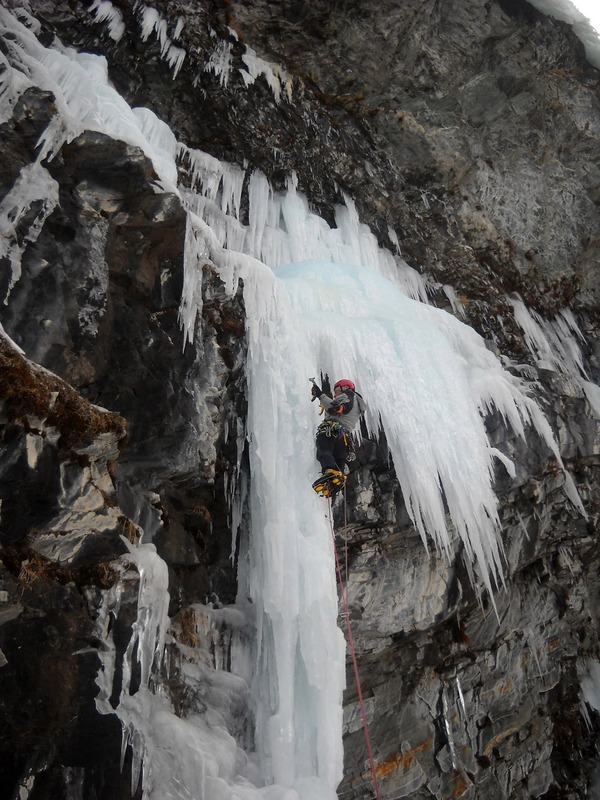 Enjoy with me a great day of vertical ice climbing in the best itineraries of the Alps! 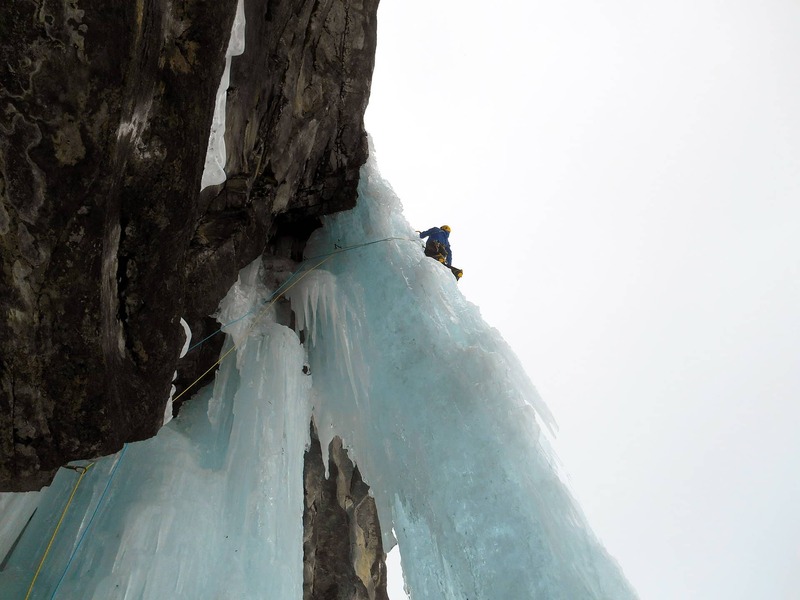 The winter is the perfect moment to dare ourselves to climb the stunning cascades in the Alps. 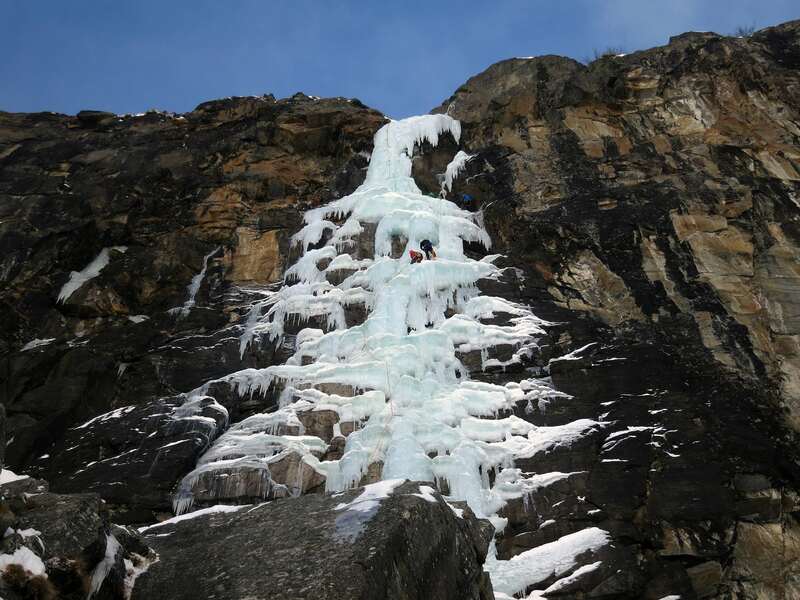 They get frozen up and become amazing ice climbing venues. 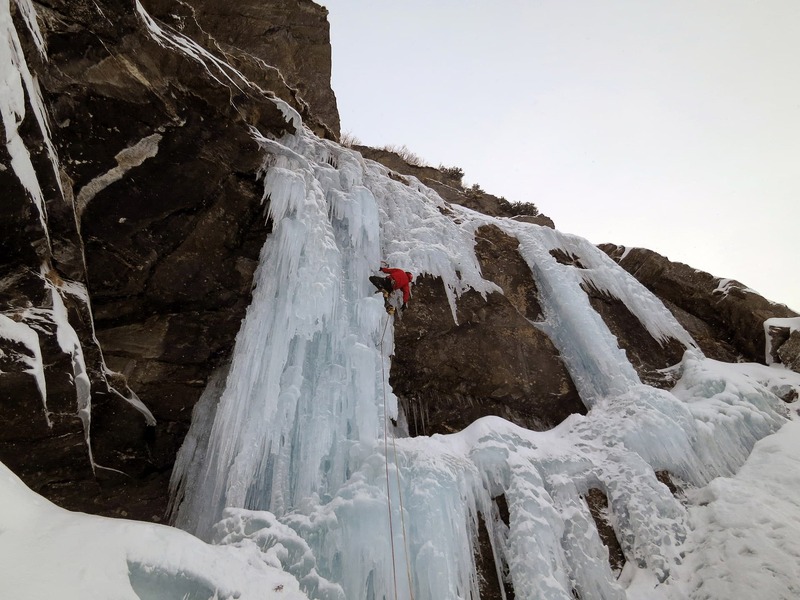 The Aosta Valley and more precisely the region of Cogne – Valnontey, offers endless climbing routes with different grades and many multi-pitch climbs to enjoy. 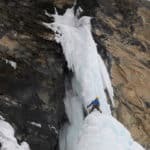 This time, I’d like to propose you two incredible routes to practice ice climbing in the Alps: the cascades of Repentance Super and the Di Fronte al Tradimento! Repentance Super consists in 2 frozen gully sections. The first is quite challenging and demanding and the the second is a bit easier and nicer. This route can be started from several different points. 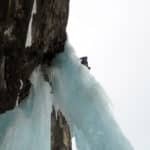 Thanks to its bolts placed in both sides of the icefall you will enjoy a quick and safe abseil descent. 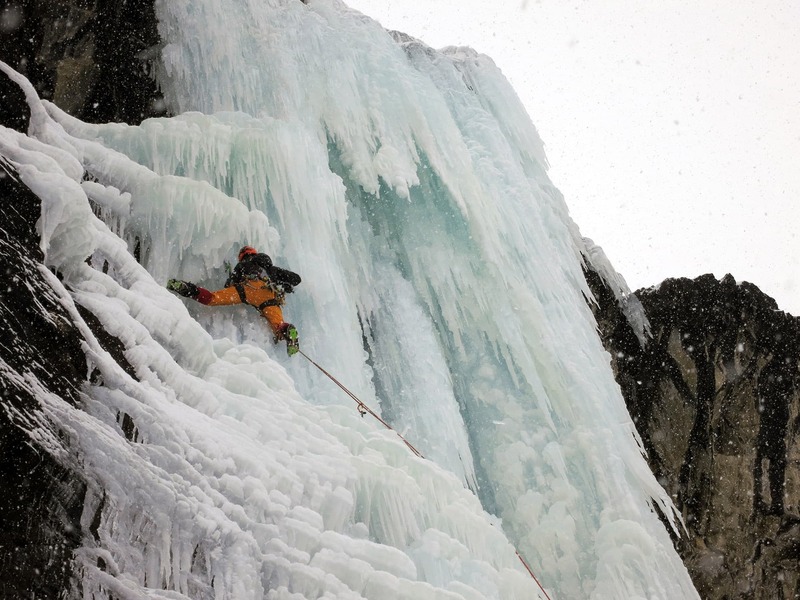 To reach this frozen waterfall we’ll have to follow the road leading to the campsite “Gran Paradiso” and the pedestrian path. Once we are in the Dell ‘Erfaulet Bridge on the opposite side, we’ll see the spectacular cascade. We then must cross that bridge and go beyond the marked trail. At its final point there is the Di Fronte al Tradimento waterfall. 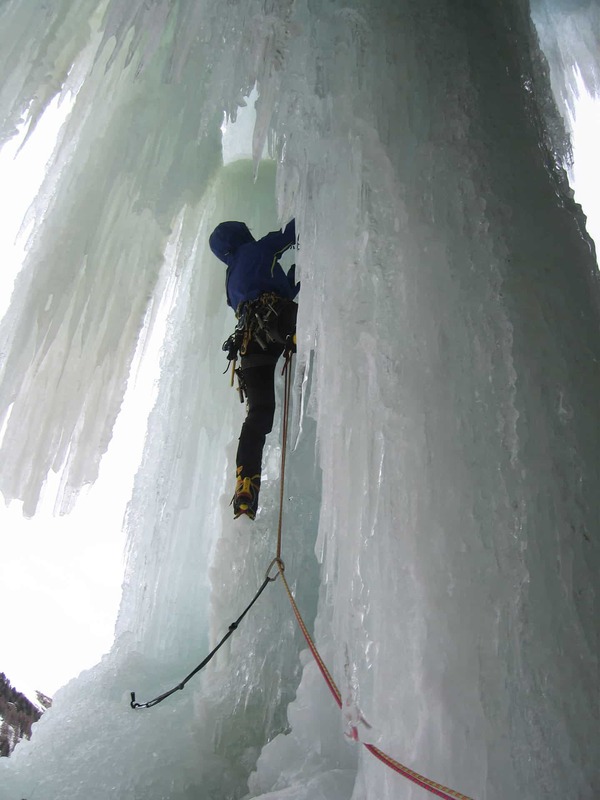 From the highest part of its big back we can abseil down the ice fall rope. The approaching time will vary from 30 minutes to 2:30 hours depending on the chosen cascade. 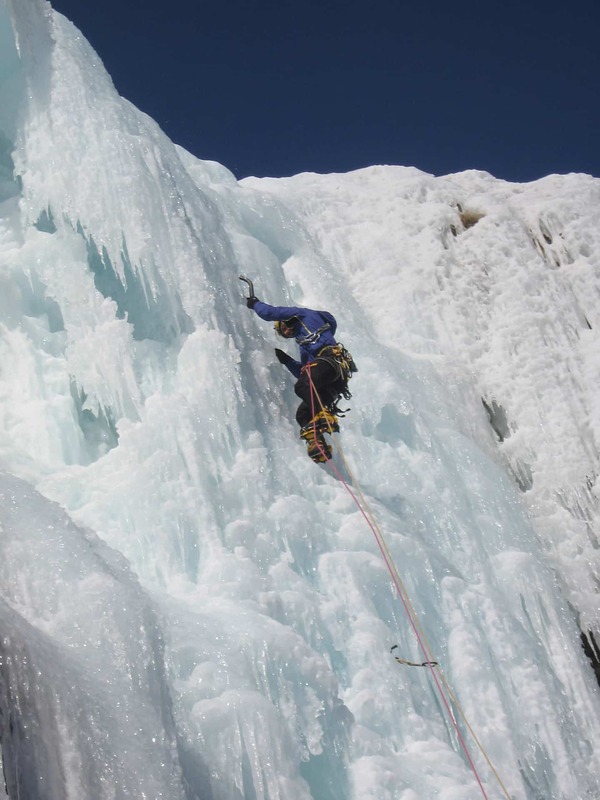 Our meeting point will be also arranged once you decide your climbing route. When we return, we’ll enjoy a break and celebrate our achievement by tasting a local meal. 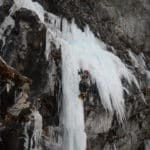 Ice climbing in this waterfalls of the Alps can be enjoyed by anyone with some climbing skills and a little determination! If you’re one of those people don’t hesitate and contact me. I can offer you many other itineraries in the Alps. Feel free to ask me for more 1-day options. It will be my pleasure to help you find the most suitable program for you! To be determined depending on the destination. - The mountain guide’s expenses (transfers and meals) are not included in the price and have to be divided among all participants. 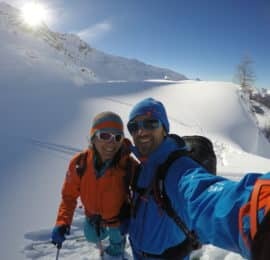 - Fees for lift facilities, transfers and mountain lodges are subject to changes established and applied by they respective owners, without any liability attributable to the mountain guide. adjusted hike to the abilities of two aging mountain enthusiasts with 10 years old granddaughter. Hike itself was in exceptionally beautiful terrain, easily accessible due to Skyway cable car. This hike definitely was the highlight of our vacation and we all will remember it for many years to come. Thanks to all who helped to organize this hike and especially to our guide Gigio! Hunter Mountain Guide Team as a guide. He is very professional and a great guy to be with on the mountain. We made it to the summit before sunrise and the views were spectacular. It will be a memory for life. very nice and thoughtful with us. I would definitely recommend this activity! Eli’s was the best! Peak Hunter Guides was great. Elis showed some of the best guiding expertise I’ve ever seen. as compared to other teams. Everything was perfect. Giovanni is a fantastic guide who took care of me. Moreover, the weather was fine. Great souvenir ! Claudio was a competent, friendly guide. I really enjoyed my time trekking/climbing with him. Thanks again for a great adventure!